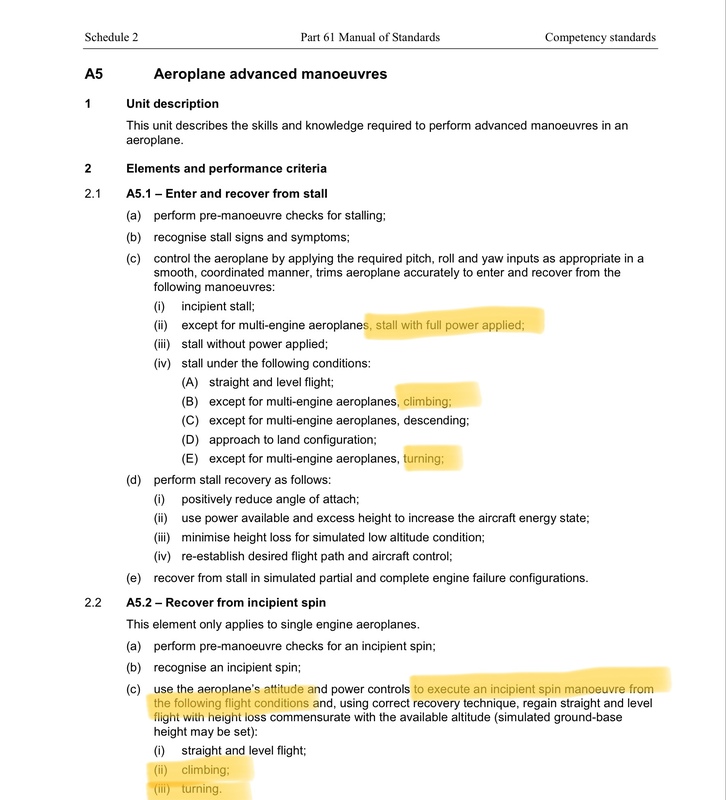 Back in the days before Part 61 there was a Day VFR Syllabus for pilot training which included “Recovers from stall during a turn” and “Recover from incipient spin”. Note: “incipient spin entry (stall with wing drop)”. There was also “Recovers at incipient spin stage during a turn”. So, it was quite clear that pilots undergoing basic training must perform stalls in a turn. 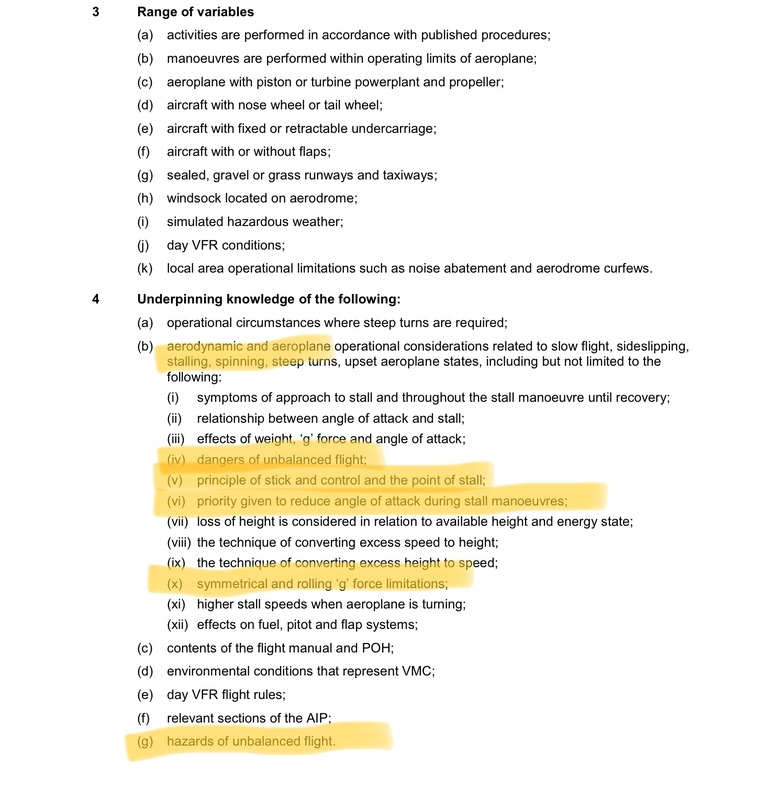 So, why couldn’t pilots tell me the symptoms of a stall ( as distinct from symptoms of the approach to the stall)? Why didn’t they know about the relationship between stick position and angle of attack? Why did so many pilots tell me that they had never done a stall in a turn? I did not encounter any pilot trainee who did that yet it was a clear requirement of the syllabus. 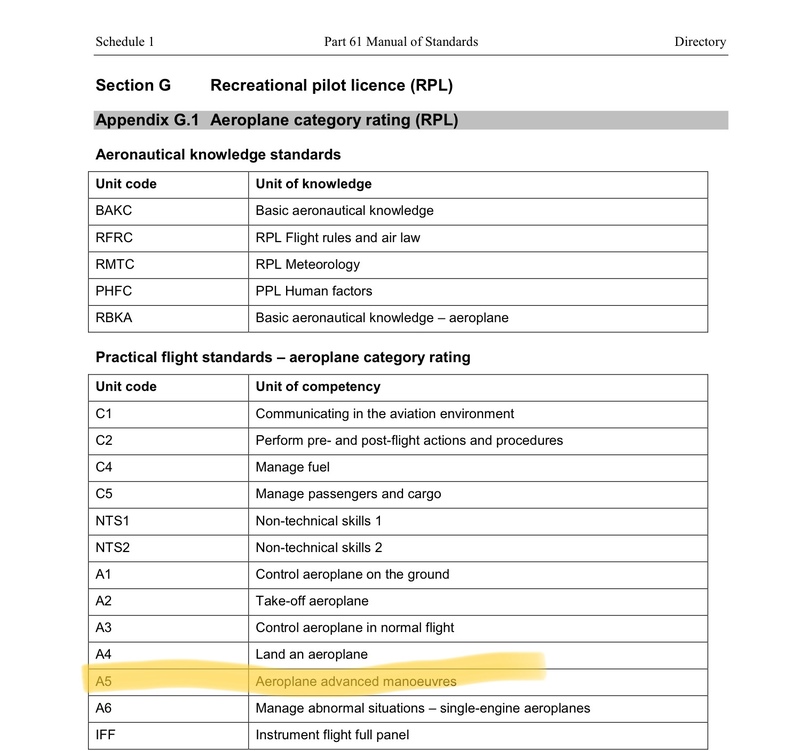 All of the above elements would have been included in the flying school’s pilot training syllabus and the pilot would have signed that they were done and the instructor would have signed for that person to have achieved the required level of competency. 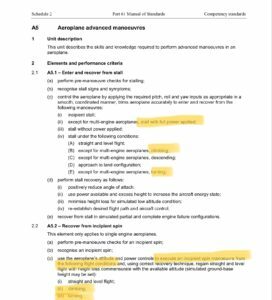 All of the above is really just background information now because we have Part 61 and the associated Manual of Standards so let’s have a look at some of that. Now we have more stalls to do! 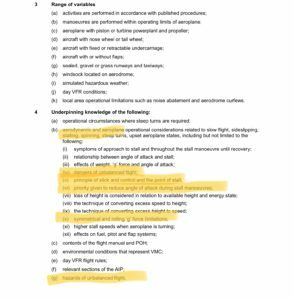 And, of course, expect to do some of the above in a flight review per: So why do pilots come to me saying that they haven’t done this stuff? It is not specifically required on the RPL test form but not excluded and perhaps examiners choose not to do them on a test. Flying schools would therefore not emphasise them during training. My opinion is that it should be emphasised in training as there are too many fatal accidents arising from a stall in a turn. 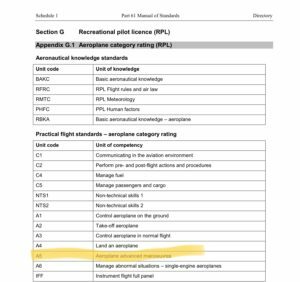 The only way to get flying schools to emphasise it is for examiners to include it in the RPL and PPL tests. Finally, just to round off your awareness of stall behaviour get your instructor to demonstrate a stall in a skidded turn. You should already know what to expect from the above underpinning knowledge explained during your basic flight training. But just don’t get any instructor to show you – it will have to be someone who has a spin and/or aerobatic training endorsement – try one and you will see what I mean.